Made of premium cotton from our stock, this custom cap is a 6 panels snapback. 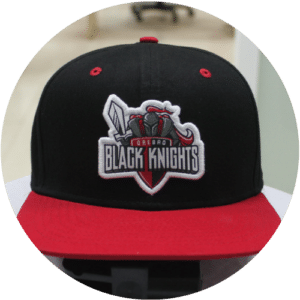 Featuring a red plastic closure also called snapback, this cap was produced by the Örebro Black Knights as a high quality merch item for their fans. To keep things simple, the team decided to have a large woven patch on the front with 3D border. 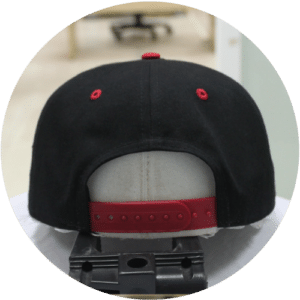 To create some contrast, we produced some parts in red like the eyelets and visor while the inside remains very simple without any customization. 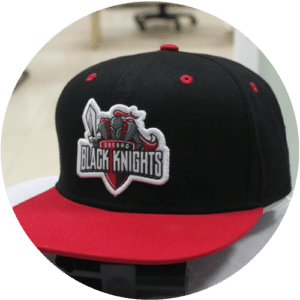 What’s the Örebro Black Knight? The OBK is one of the biggest football team in Sweden, they play in the Superserien which is the country’s highest division. Check out their website and become a fan. 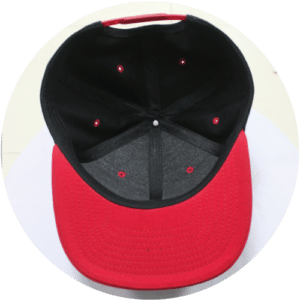 In the meantime, feel free to learn more about this kind of cap, right here!